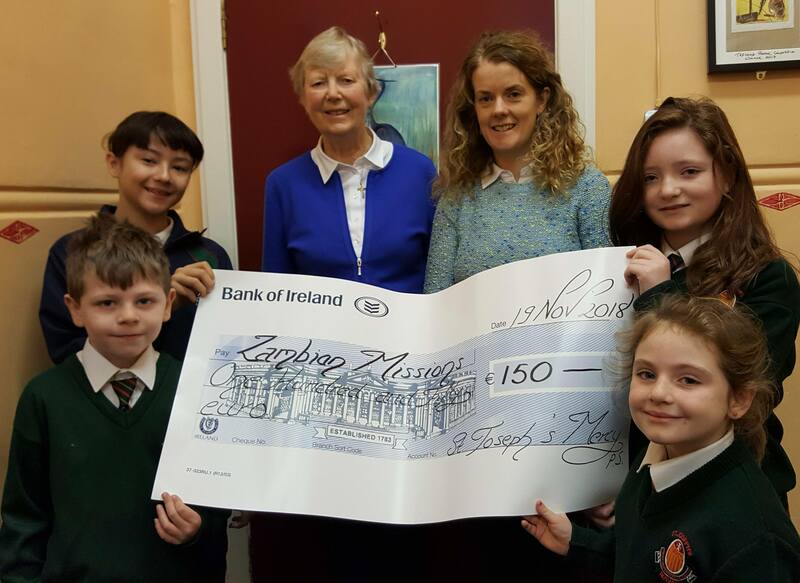 We were delighted to welcome Sr. Marie Louise Moore to our school last week. 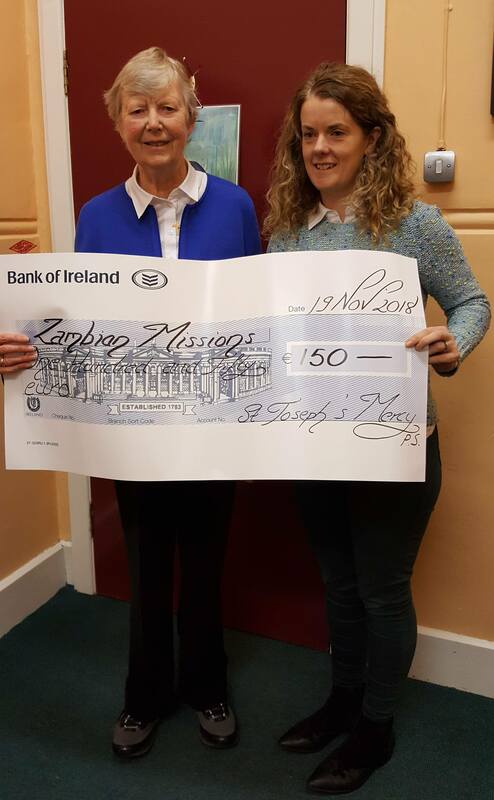 We presented Sr. Marie Louise with a cheque for €150 for the Zambian Mission which we raised during the month of October. Sr. Marie Louise will send this money to Sr. Celestine who will make sure that it helps many children in school in Mazabuka.